Lahore School of Economics Association of Debaters organized Model United Nations Conference (MUN) on October 7, 2007 at Burki Campus. MUN sessions were chaired by Omer Imtiaz, Sohaib Shahid and Shahram Niazi. The Topic for discussion in The United Nations Development Fund for Women, (UNIFEM) was Equality in the Workplace. The participants represented more than 52 countries and discussed different problem faced by women in different countries and possible solutions to reduce inequality at the work place. Lahore School of Economics Sports Club organized an Intra College, Super Six Cricket Tournament 2007 from Sep 27. to Oct 2, 2007 at the lush green cricket ground (Main Campus). Winner teams have qualified for the second that will be played from Oct 8 to 11, 2007. 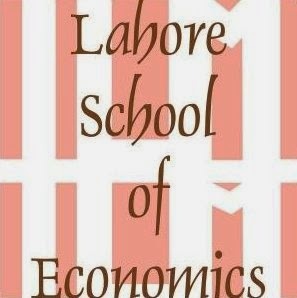 Lahore School of Economics has won Fourth Renvoi - an International case competition held by Amity Business School, Amity University, Noida, India on September 28 - 29, 2007. The case titled “Identification of Factors Responsible For Rapid Growth and Development of Haleeb Foods Limited Pakistan” by Dr. Muhammad Rafiq Khan (Senior Research Fellow, Center of Research, Lahore School of Economics) and Omer Haroon Ahmed (Lahore School MBA Student). The case was resented by Omer Haroon Ahmed. Out of 33 case studies presented, Lahore School case was ranked number one and both authors were awarded first prize.